2008 is a year quickly fading from view, some would rather forget the past 12 months and others have reason to remember the year past with fondness. Of all the merchants considered as either the winners or losers in 2008 they each can take a look back and see one business tactic that binds them together, for better or worse. I can say that I have personally done business this holiday season with all three of these high quality merchants and they all provide outstanding service from the buyers perspective. I was pleased with each and every transaction and in each incidence I felt as if I had gotten the better part of the deal. Is that because I got a discount? No, Apple made me pay what everyone else pays, so did Zappos and in most cases Amazon. The difference was that I received what I bargained for and more... I felt good about the transactions in each case, people like to feel good. Great telephone or website support and service before and after the sale. Free shipping options - in the case of Zappos, free shipping for returns up to 365 days after the sale. Liberal return policies - well spelled out and unquestioned - no ambiguity, either the customer is happy or they get their money back - period. Under promise and over deliver - in each case these companies estimate shipping times longer than usual so the customer is pleasantly surprised when the item arrives at the door early. Online account access - see where your shipment is, access previous orders, track your own purchase habits and save items for purchase at a later date. All great features in an ecommerce environment. Zappos really rules the roost with their liberal 365 day return policy, no questions asked, including free return shipping. I just signed up for the free VIP membership at Zappos (special deal for Twitter followers of Zappos - Do a search in Twitter for Zappos VIP) The VIP membership offers me free overnight shipping on all orders, it also almost guarantees that when I think of buying shoes, I will think of Zappos.com. Amazon.com has a similar service with the Prime membership but in Amazons case the customer pays a yearly prime membership fee ($79.99). Apple just kills you with quick, uncompromising service and delivery and a top of the line product. There are no deals at Apple, but then they have no need to offer discounts - people just keep buying. eBay - Constantly changing the platform and rules, alienating the sellers, collecting bad press like a skinhead organization, eBay just has really seemed to been on a mission to kill the golden goose. In an effort to provide better CS for buyers they have alienated the best of their sellers who have made the move or will make the move elsewhere in 2009. I really have no idea how eBay will recover from 2008 yet somehow I sincerely hope that they do. One wonders however when the very people who built eBay into a cult like merchants organization have left the building. ebay customer service on the phone or in email, heck in any way you can imagine has to be the very worst on this planet we call earth. I can not say how frustrating it is to deal with "Trust and Safety" Billing, or any other eBay department. 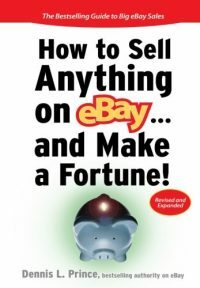 ebay has been king of the roost for a long time and as such they have become blinded by success and immune to requests for better CS and a possible change where it counts. If ebay does not start treating the people who use the platform and pay the fees better in 2009, look for a further drop in stock price and other less than happy changes. Cell Phone Companies - It does not matter which carrier you have, the public at large is getting fed up with the entire cell phone industry. 2 year contracts tied to discounted phones is just not a good deal for the consumer. Especially when the cell phone companies seem to provide less service to each customer in the process. I have read and heard complaints about each and every cell provider with the result being that the customer is forced to break a contract and pay a fee to get away from the service provider. This should be illegal in my opinion, if the service is not pleasing the customer, then allow the customer to go on his or her merry way. Bad Bad Customer Service Cell Phone companies! Across the board it seemed to me that the prices on major items was less in the store than on the website at Sears.com. Sears has decided to put a premium on convenience which just drives the online shopper elsewhere. In every case where I checked prices on the Internet, I always found the lesser price at another merchant, usually at Amazon. Additionally the online shopper is very limited in what they can do with their account online. There is no way to track completed orders, no way to save items in the shopping cart for later purchase, items placed in a shopping cart can change price virtually while the customer continues to shop the site and the general navigation of the site is slow and clunky. I placed an order for a very nice point and shoot camera from Sears.com in plenty of time to get the item before Christmas. 8 days later I get an email from Sears that my item is out of stock, will not ship and the entire order of 6 items was canceled. No explanation, no we will tell you when these items are in stock again, no offer for a similar item - Bad customer service! Brick and mortar needs to study what and how the best of the best do ecommerce in 2009, they need to provide high quality customer service that companies like Zappos and Amazon provide. Our world is quickly changing from a get it quick only competition to a get it quick and give me service mind set. The customers will still shop online if they know the service is there backing up the order. They will leave in a heartbeat if any one function related to customer service is ignored or not addressed. How do I apply these lessons in my small business you ask? Make Customer Service the most important part of your entire marketing budget. Give customer service the attention it deserves in your own company. If you excel or even perform adequately with your customer service department (even if you are it) then you will stand out in the dismal landscape of customer service experience the average US consumer is presented with. Outsourcing the CS tasks to foreign countries or hiring workers who can only read a script is not the way to win customer loyalty. Every company in America wishes it had the fanatical following of consumers that Apple has, yet no one seems to step up to the plate and do what it takes to earn that trust. Do what it takes, make the right moves, think about what your customer wants, and give it to them. People will buy again and again, bull market or bear, if you treat them with respect and give them more than they expect elsewhere. Be a Customer Service Oriented Business in 2009! You will certainly reap rewards beyond anything you may expect. Cell phones, hell yeah, how about cable companies too, I’ve had my share of gripes about both in recent days. One thing I take issue with is you examine Amazon, Zappos and Apple as a customer of each, which is great, they’re all known for their excellent customer service, but you look at eBay from the perspective of a seller on the site–a customer of eBay’s sure, but for the other companies you’re talking about the purchasing procedure, whereas for eBay you’re not. While I’ve had my frustrations with eBay as a seller in ’08 I’ve been quite pleased when buying from the site and after adjusting to the initial change find the current checkout system much easier and more intuitive. My only gripe with eBay’s purchasing procedure right now is the monkey-wrench third party checkout continues to toss into the mix. I must say, first off this is something that EVERY seller, large or small MUST remember….customer service is a vital part of business. musicianfriend They have always been proffesional in their responses, but the crew takes it to the next level…they really care! Their customer Service Department is definately a role model for all. I suppose I could go into the long list of complaints about “Best Match”, Third Party Checkout, Finding 2.0, and other aspects of using eBay as a Buyer. Like the fact that you do not receive the same quality of communications from sellers on eBay as a buyer as you do from any of the 3 customer service winners I mentioned above. eBay has tried to remedy much of the communications problems by limiting how and when a seller can communicate with the buyer, and by punishing the seller when they do not communicate fast enough, but in the real world, these changes have not effected the marketplace much. I purchased and paid for a Blackberry cell phone on eBay 5 days ago (my only eBay purchase in the last 2 months) and as yet have not received a single email from the seller. Nothing that eBay or PayPal itself did not generate. Very little information about when my package shipped, when it will arrive or any other information regarding my purchase. I do not feel as secure in this purchase as I have with the Amazon, Zappos or even Sears purchases this holiday season. Therefore I have not gone back to eBay to buy anything further. The sellers have been battered by the venue, they do not want to break any of the multiple rules and regulations, they do not understand DSRs and they know if something goes wrong with just one sale on eBay they may have to pay an unjust cost in the form of lowered search standing. 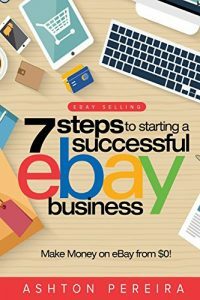 As you know, I have spent the better part of the last 10 years of my life working with, within, and for eBay as a seller, a consultant, a designer and a third party software provider. It pains me to make these observations, but they are valid observations just the same. Unless and until eBay does something about the crisis in customer service they they have created, I just do not feel as though the site as a whole will rebound. I know and appreciate the great work you do on the site Cliff. You have a great niche market, fabulous hard to find items and give your very best to your buyers. 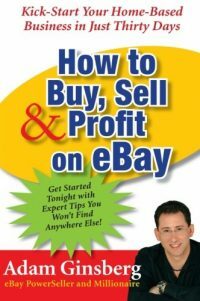 You are exactly the kind of seller that made eBay the success that it is/was. I wish they could see that more clearly. Recently I made a one time payment to eBay to ensure that my account was current. This was mainly due to the fact I failed to update my credit card which had expired. Yes it was my fault for not keeping it up to date. So, I paid my eBay bill on December 2. On December 12, eBay rebilled my updated account for the DOUBLE the amount I originally owed and PAID on December 2. I called eBay Customer Support on Friday December 12 and was told that yes in fact there had been an overlap due to my onetime payment. It was explained that eBay bills in batches, which are created 15 days in advance of them actually being processed through PayPal due to the sheer volume. The CS rep advised me that a refund would be processed immediately. I was told to monitor my PayPal account to ensure the refund appears. When by Saturday afternoon the refund had not appeared, I again called CS and was told by that representative that the refund could take up to 5 Business days to be processed. Note that this is a direct contradiction from the information I received from the first CS rep. So, I got to thinking about this matter and on Tuesday December 16th, I called CS again to express my dissatisfaction regarding this situation as I felt 5 Business days was excessive. The CS rep I talked with this time tells me it may take up to 30 days to receive my refund! He also tells me that the first two CS reps gave me the WRONG information. I am also told that this situation is MY FAULT because I made a one time payment to ensure my account was current. I was told I should never make a one time payment. Now, if I as a seller told one of MY eBay CUSTOMERS it would take up to 30 days to issue a refund, all hell would break loose! eBay would probably restrict me, PayPal would restrict my account and I would certainly receive Negative feedback! No where in the eBay User Agreement or anywhere else on the site does it tell me that eBay refunds will take 30 days! I asked the last CS rep to direct me to that specific policy and he was unable to provide me with this information. In my humble opinion, I am eBay’s customer! Buyers are not eBay customers, they are the sellers customers. If I provided the same Custopmer Service eBay does, I would be banned. Or even worst, in the form of temporary SUSPENSION. For a low volume eBay Trading Assistant consignment seller, it’s embarrassing to have to explain to your consignor that you can’t list their items now as promised because you are temporarily suspended from listing on eBay until your 4 star Shipping DSR improves. In the consignor mind, they’re thinking a 4 star hotel is pretty nice, so what’s the problem!! I’m glad you’re blogging about customer service. In a competitive environment, good customer service tips the scale and makes sales! I could care less about eBay and their non-customer service, I am over eBay and will probably never go back. However, I think from an ‘advice to sellers’ point of view this is one of the best articles you have ever written. You’re so right about customer service. In my ebay business customer service TRULY is number one, I know a lot of sellers say that but most don’t put their customers first. I used to say that but didn’t really put them first until I realized that the better you treat your customers, the better they will respond and the more will leave a positive leading more people to buy from you. I think it’s like a game of cat and mouse, but to ensure victory you must treat your customers as #1 , without them you have no business after all.